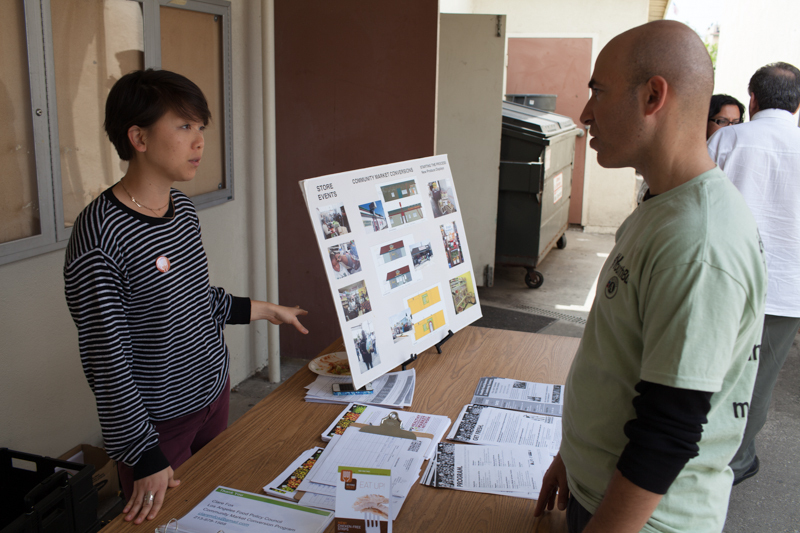 Last week, hosted in a small campus in Boyle Heights, the Healthy Neighborhood Market Network (HNMN) held a Neighborhood Market Training, an informative workshop program that helps our little corner markets put a focus on healthy foods from local farms for their customers. The plan is to put the fruits and vegetables in prominent views so that they stand out more than the Cheetos and Snickers. Also, they want to educate store owners on what good produce is so that they can pass it along to you. The HNMN is a componet of the Community Market Conversion (CMC) program. The CMC program transforms convenience stores in neighborhoods with limited healthy food access in to good food community markets. They do this by providing technical, financial and community engagement resources. Briana Perlson, a student at Pitzer College, attended the training. Perlson and group of students are working with a local business, helping to establish a sustainable system that brings in produce from local farms in the area to local convenience stores. Pushing the healthy point a little further, a vegeterian lunch is provided by, Beyond Meat. Caitlan Grady, of Beyond Meat recruited the students of Youth Build to help serve the meals. “We put this event together because we thought it would be better to get them in a group setting as apposed to one on one training. This way they can discuss their issues among peers and see that they are not alone. And Hopefully they will collaborate,” said Tony Bautista of Youth Build in Boyle Heights. The CMC currently has 13 stores that are under conversion. 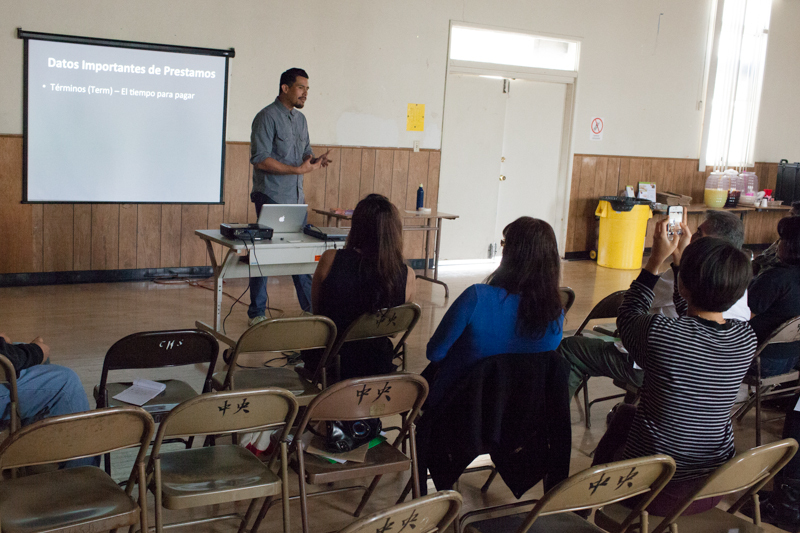 The program is a project ot the Los Angeles Food Policy Council, which is a non-profit initiative of Mayor Villaraigosa. The next training will be held Saturday August 3rd, 2013. The training is free to all market owners and staff. To register, click here. Bike tours, healthy produce, transit-to-trails, L.A. B.A.C. and more!